We are all told that joining a fraternity or sorority will create opportunities. 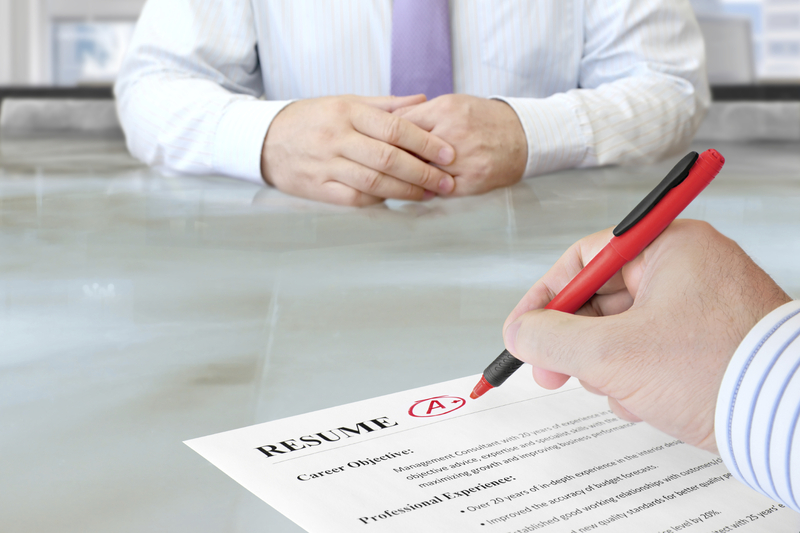 Adding a fraternity membership or officer position to a résumé; however, can be intimidating. As someone who worked for a fraternity national office for almost six years, I understand the challenge of selling a fraternity experience to an under-informed audience. Explaining what you did for your fraternity chapter should not be hard. The same should be said for those working for a fraternity or sorority central office. Unfortunately, our esoteric language makes that sales pitch a little more difficult. What the hell is a recruiter supposed to get from seeing that you were an Archon, for example? Provided below are several tips to better sell your fraternity experience on your résumé, LinkedIn profile, and during interviews. Most whose advise others on résumé-building suggest that you start with the organization, then list your position. Consider switching that around when it comes to your extra-curricular activities. Cater this to the job for which you are applying. If, for example, you know that the person leading the hiring effort is a fraternity man or woman, then you can stick with the standard format. Otherwise, try listing your positions before the name of the organization. Okay so an employer will now see that you were a “President” in 2015, but let’s draw even more attention away from your scary fraternity or sorority name: bold the title to highlight your attributes. Your résumé should be no longer than one page if you are a recent graduate. Reviewers spend 1-2 seconds scanning your résumé to determine if they want to read it, so there needs to be a way to draw attention to where it’s needed. Use this as an organizational tool in the same way you’d use bullet points, numbers, or indentations. We want this to guide a reviewer to relevant information, not to be used as a cheap gimmick like glitter to make you seem special. Using bold lettering in this way creates a miniature set of “headlines” to guide reviewers through your résumé. It will also maximize the space you have available. In an ideal world you contribute greatly to your organization. It is a typical practice to list several bullet points under each leadership position or job title. Don’t let that space go to waste. Rather than list a bunch of things that all chapter treasurers do (made an annual budget, managed $10,000), talk about what you did differently. For example, while I was President, my Treasurer and I closed a $18,000 budget shortfall in four months. The statistic is a part of a greater story. Stories make for more enjoyable conversations and are easier to recall than basic job descriptions. You want each of your bullet points to inspire questions from the reviewer. Generate some curiosity around your accomplishments. Talk about the new program you built, how much more money you raised than before, how you cut expenses or how more of your members became involved. Use numbers and percentages. No one knows what “Sergeant at Arms” means. It’s okay to replace it with a word that fits a non-member’s vocabulary. Pretend your fraternity or sorority is a credit card company; use only the terms a credit card company employee would use. Call your brothers members, call your chapter an organization, and call a philanthropy event a charity fundraiser. Wrap “ritual” in with “brotherhood,” and call that “team-building” instead of brotherhood. There are very many employers looking for team-players and people with facilitation experience. Be sure to include the web address to your LinkedIn profile somewhere on your résumé. You may even want to include a QR code if it fits the type of employer you’re interested in working for. If you are submitting your résumé as a PDF then be sure to create a hyperlink so that recruiters can easily click to your LinkedIn page. This is important, because LinkedIn offers an opportunity to expand what you list on your résumé in ways I will explain below. You want recruiters who are interested in you to have an opportunity to learn more. Attach examples of your work to your jobs on LinkedIn to create a portfolio for recruiters. Your résumé is a snapshot of your professional potential. Use your LinkedIn account as an extended portfolio of your work. You can import your résumé directly in to your LinkedIn profile. Just make sure to edit it as the formatting may result in some fishiness. A great feature about LinkedIn is being able to link to your work underneath any job. For example: While working for my fraternity I created a proposal we would use to pitch ourselves to campuses. I also created a brief video highlighting our partnership with the American Red Cross. Both of these are linked under that position. Whether its a senior research project or a video from a philanthropy event you put together, link it to the respective position. This gives recruiters and the generally curious a chance to look into what you’ve done and see your work first hand. You can apply for many jobs on LinkedIn, and many will have a set of skills listed. These skills operate like hashtags for recruiters, and LinkedIn allows you to list your skills and for others to “endorse” them. Look through relevant job applications, see what are listed as the “top skills” required for a position, and add them to your profile (if they fit). Help your chapter brothers do the same. Whenever possible, get friends and colleagues to endorse you for your skills. You can organize them on your profile so that those most relevant to the work you are seeking appear first (and are more likely to be seen and endorsed by others). Consider reaching out to professors, employers, and colleagues (including fraternity officers) to write a referral on LinkedIn. Join groups related to your professional interest. Establish groups related to your interest. Some fraternities have different groups for different professions. These are easy ways to connect with brothers who work in your field of interest. You can also follow hashtags on LinkedIn. If you want to work for a financial technology company, follow #FinTech. Share whichever posts you find are relevant and which may be related to work you’ve done or things you have studied. A great thing about LinkedIn is that the conversations happening are mostly professional. You may encounter a recruiter or engage with someone who wants to work with you. Create those opportunities for yourself by sharing and commenting as naturally as you would on Facebook or Instagram. I will not number these off, but connecting your fraternity experience to your future job will do you well in an interview. Review your résumé and jot down some key points you want to hit on if you are asked about your fraternity experience. Keep these at the top or bottom of a notepad you bring to the interview. You can search any number of “interview tips” posts online, and many suggest you keep notes and ask good questions. Highlight the fact that your fraternity encouraged you to try new things, to collaborate with a variety of people, and to give you the opportunity to learn from failure. Those are common experiences for most of us who pursue leadership roles in fraternities. Just make sure you are honest. There is nothing worse for your prospects than getting caught in a lie. What other tips do you have? Connect with me on Twitter (@FraternityNik) Facebook (FraternityMan) or Instagram (@KoulCompany) and share. Perhaps I will update this with your thoughts in 2020!